A Memorable Mission Trip to Huatulco located in the Beautiful State of Oaxaca Mexico on the Pacific Coast! This is a Medical Mission to Huatulco Mexico. It includes a round trip flight, all food and lodging. At the end of this Mission Trip we will enjoy a one-day outing to a beautiful beach. This trip is open to anyone interested in making a difference in the lives of many. 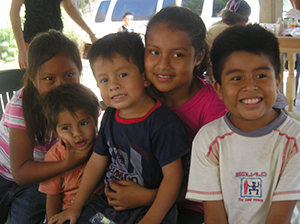 Your Mission work in Huatulco will change your life and bless you in ways that cannot be explained. We will fly into Puerto Escondido and travel to Huatulco where we will serve four remote communities. Dr. Al has worked with missionaries serving the outlying communities for many years and has taken the Project Compassion Team to serve in the past. There is a real need for medical care in the remote villages. We will set up a clinic and provide medical care for four days. 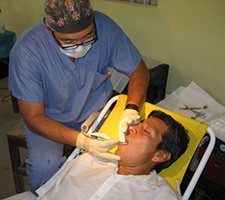 Dr. Al provides both dental and medical care and Laura serves in translation prayer and counseling. Please join our team as we travel to Huatulco where we will serve four remote communities that need medical care. We will be serving with our missionaries Dr. Alberto Zamacona and his wife Laura. Saturday November 2, 2019 returning to the United States on Saturday November 9, 2019. The cost of this trip is $2,500. A $1,000 deposit must be received by May 1, 2019 to secure this price. The price after May 1, 2019 is subject to change based on changes in airfare and lodging. Please click here to complete the Project Compassion Application – participation is limited. Upon acceptance of your application, additional information will be provided to you.